The NPPG wishes to assist and support the set up and activities of Affiliated Groups (both National topic specific groups and Regional groups). The purpose of these groups is to help facilitate appropriate and efficient use of medicines and pharmaceutical care in the neonatal and paediatric population. Affiliated Groups must have a nominated chair (and in the case of regional groups there must also be a link person from the NPPG committee), Terms of Reference (in line with the aims of the NPPG) should be maintained as should be a listed membership. There should also be a list of non-NPPG member who belong to affiliated groups, though any non-NPPG members should be encouraged to join NPPG.. Advice and endorsement may be requested from the NPPG committee to support affiliated groups for meetings, projects or study days (all referred to from this point on as “activities”). Affiliated Group Chairs must contact their NPPG Committee link early on in the planning phase of any activity with the title, learning objectives, venue, date, sponsors and delegate numbers. The Committee will ensure that the activity is in line with the NPPG objectives and that the content, sponsors, venue and date are in keeping with the ethos of the NPPG. The NPPG wishes to support the set up and activities of Regional NPPG Groups on behalf of its members. 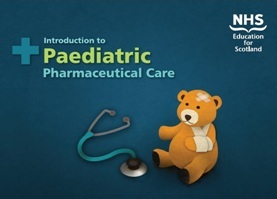 The purpose of these groups is, through mutual education and support, to help facilitate appropriate and efficient use of medicines and pharmaceutical care in neonatal and paediatric patients within a given region of the UK. In order to be recognised as a Regional Group they must have a nominated chair, Terms of Reference (in line with the aims of the NPPG) and a listed membership comprising a minimum of ten members who must all be members of NPPG itself. Financial or secretarial support may be requested from the NPPG to support Regional Groups for meetings, projects or study days (all referred to from this point on as “activities”). The Committee should be informed in advance of any new Regional activities to ensure that the activity is in line with the NPPG objectives and that the content, sponsors, venue, date are in keeping with the ethos of the NPPG. In order to facilitate this, each regional group will have a nominated member of the Committee to act as a link. Events should be budgeted with a financial plan and aim to break even. The NPPG will underwrite the financial plans of study days run under their logo. A short yearly activity report should be sent to the NPPG Committee a minimum of 1 month before the annual conference for inclusion in the conference pack. The NPPG has access to administrative staff at Profile productions who will be able to support organisers with their events. Support can come in the form of advertising, contacting speakers, room and catering booking, organising feedback forms, photocopying handouts etc.